One thing I love about fashion is how two people can re-imagine the same pieces in totally different ways. When Liz was cleaning out her closet, I immediately snatched up this turtleneck and vest. I had been searching for both forever, so I was so excited when she was ready for hers to find a new home. I’ve worn them a bunch already (like here, here, + here), but I wanted to shoot a full look showing how I love to style them. 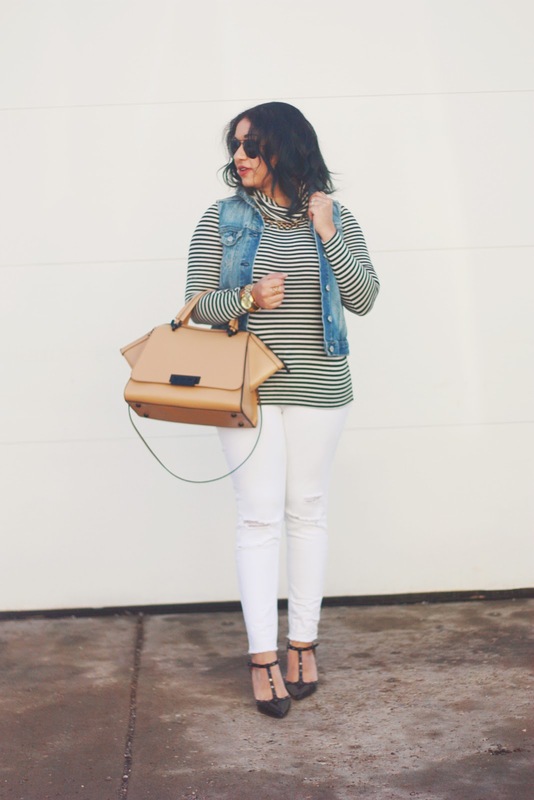 White ripped jeans are a closet staple for me, and paired with these fun shoes and bag, I had an outfit I loved. I have an ivory pair of Rockstuds, and they’re probably my favorite pair of shoes I own, but I’ve been lusting over the black lately. Not wanting to drop that kind of cash again, I was elated to find these at Nordstrom for literally a fraction of the price. Not only are they so fun, but they’re super comfortable, too! Overall, this look pairs both basics and more fun pieces for an outfit that is perfect for my everyday life and reflects my style. 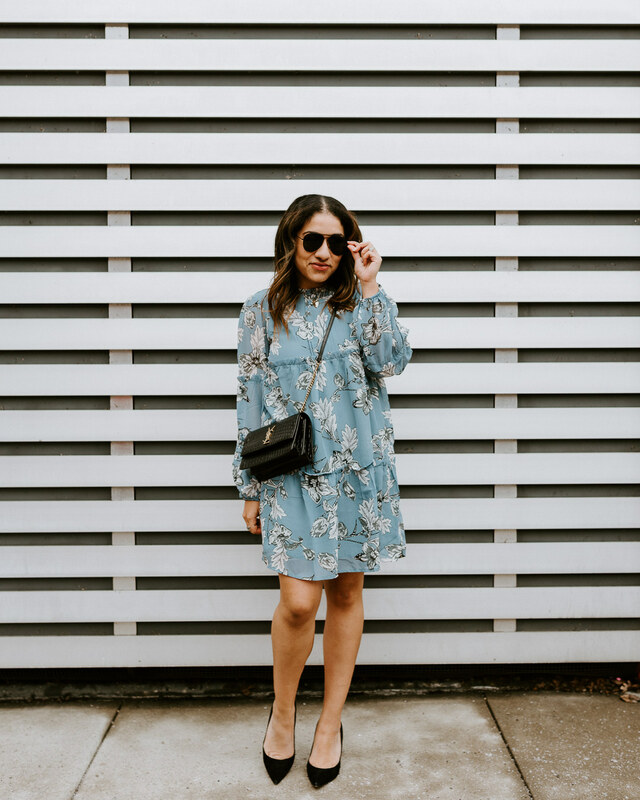 Previous Post One Dress, Four Ways + Sale Alert! I am loving everything about this outfit. Looks so polished and perfect! that handbag is to die for!! LOVE that you paired denim over a striped shirt! Now I feel like I need a vest.. ASAP! You do!! I didn't think it was quite "me" but I wear it too much! wow! I love this! Makes me wish I brought my vest to NYC! Darling denim vest! It's such a fab wardrobe staple for casual looks! Adore!